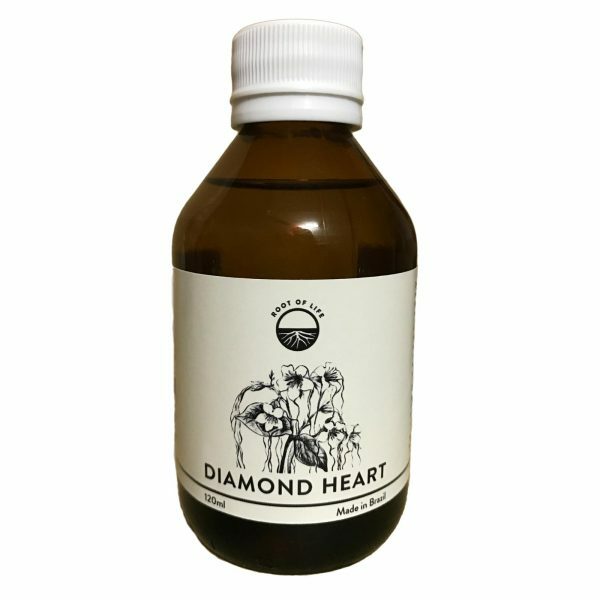 Diamond Heart is the only Strophanthus product on the market that is lab-tested and used for decades by Medical Doctors and Natural Health Professionals to treat heart issues at its root. One bottle on standard dosing lasts 80 days which represents incredible value! 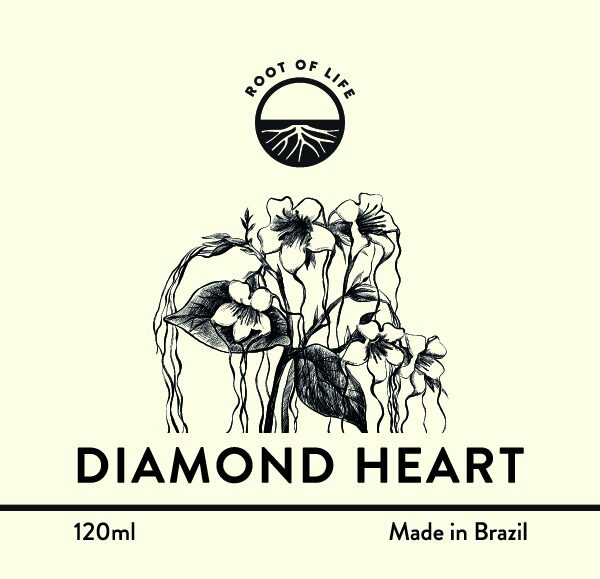 Diamond Heart is the only Strophanthus product on the market that has been clinically validated and used for decades by Medical Doctors and Natural Health Professionals to treat heart issues at its root. Specially cultivated Strophanthus seeds have been used to create this tincture that has been documented by numerous case and research studies to be safe and profound for healing the heart. Contrary to popular belief, arterial health and plaque are not the key indicators of heart failure. In fact, no heart attack can occur if there is strong parasympathetic tone. Also, metabolic acidosis in the heart tissue impeding collateral circulation, damaging heart tissue and mitochondria is what leads to fatality. Diamond Heart doesn’t just strengthen the parasympathetic nervous system to strengthen the heart and bring it back to balance, it converts the dangerous lactic acid buildup in its tissue into pyruvate, which is used to provide further energy for the heart tissue – literally transforming “poison into medicine”. It is truly the most remarkable substance endowed by mother nature for heart health. It converts the lactic acid in the heart tissue into pyruvate, which the heart can use for energy – literally converting poison into medicine! It produces neurotransmitters that support the parasympathetic nervous system, strengthening it. Simply through these 2 mechanisms – the root causes of myocardial infarction, heart attacks, and angina is stopped dead in its tracks! Of course, we highly recommend restoring mitochondrial function and cellular energy levels with mitochondrial-targeted therapeutic agents like MitoQ to completely restore the heart into its full vibrant state! Diamond Heart contains 240 servings or an 80 day supply on the regular dose – which makes it only less than S$0.575 per serving! This represents incredible value. Diamond Heart is used not just as a long-term treatment to overcome heart disease, it is also an emergency first aid that can be carried everywhere to prevent heart attack and fatalities on the spot! This has been tested for decades to good effect and is indeed a lifesaver, and a heart-saver. Hold 10-20 drops on the tongue for 90 seconds before swallowing 2-3 times daily. Once heart health is restored, dose can be halved i.e. 5 drops 3 times daily for maintenance. During emergency, hold 30-40 drops on the tongue for 1-2 minutes before swallowing. Heart disease is pretty much the #1 way to die based on health (or rather, death) statistics all around the world. Despite the increasing sophistication of surgical techniques, the introduction of new techniques such as balloon angioplasty, and a number of new drugs (e.g. beta blockers, calcium antagonists), the number of deaths through heart disease is expected to rise – in conjunction with the cost of treating heart disease. Doesn’t make any sense right? Well, what if you were told that the coronary obstruction theory and plaque theory that conventional medical science claims to be the reason for heart disease is actually WRONG? What if this inadequate response to the biggest crisis in the world (and no it’s not a new President or a terrorist bombing) is really because we had always been looking at the wrong places surrounding heart health? Of course, the systemic importance of bringing down inflammation and increasing circulation through essentials like Omega 3s and raising nitric oxide is definitely eminent, the primary reasons for heart attacks, myocardial infarction, angina and heart disease are not these. Through performing countless autopsies in Germany in the 1930s and 1940s, Dr. Berthold Kern discovered beyond a doubt that coronary obstruction and plaque were absolutely NOT the cause of heart disease and failure. Since 1948, over a dozen reports of post-mortem examination of infarcted hearts have consistently failed to reconcile the coronary artery thrombosis theory of myocardial infarction and that of heart failure. Till date, there is no literature that proves the validity of the coronary obstruction theory. Dr. Kern soon learnt that natural bypass channels were created by the body, known as collaterals or anastomoses, in the event of coronary artery blockage. That is the divine intelligence of the body – and thus someone with 95% coronary artery blockage wouldn’t necessarily be functioning much poorer than someone with completely no blockage – which we witness in our everyday lives. A study by Rentrop et al in the April 1, 1988 issue of The American Journal of Cardiology yielded conclusions that were fully contradicting the coronary artery blockage theory, and consistent with Dr. Kern’s hypothesis. Dr. Stephen Epstein of the National Heart, Lung and Blood Institute declared these findings by Rentrop and his team as “extremely important observations” in an accompanying editorial. The conclusions reveal that in advanced states of coronary arteries narrowing, blood supply to the heart is completely augmented via collaterals that enlarge naturally in response to the blockage. What’s most jaw-dropping was that they observed that the more the coronaries narrowed, the less danger there is of heart infarction – this finding astounded them! We can therefore be absolutely certain that coronary blockage is a thing of the past and no longer relevant. If you are prescribed drugs and surgery based on this fallacy – please switch your healing protocol right away! Unlike all other cells and tissues in the body, the left ventricle of the heart needs to be constantly beating and working to supply blood to all parts of the body (the right ventricle only to the lungs). Where skeletal muscles involved in exercise might build up lactic acid and then go through “aches” before being flushed through repair and recovery through anabolic/catabolic processes, the left ventricle is allowed no luxury of rest and is the most metabolically vulnerable in the body. This means that, through inferior metabolic processes e.g. brought about by a diet high in processed foods, refined carbohydrates, sugars, and starches, lactic acid would build up in the left ventricle – which over time, would not clear the body as quickly as new lactic acid would build up – and hence chronic metabolic acidosis occurs. Initially, some cells would get damaged, and as it progresses, a small area of necrotic tissue would form. Eventually, a tipping point would be reached where the affected area would be large enough to cause heart attacks. This is how collateral tissue gets damaged – thereby becoming unable to support the heart. To be precise, it is the mitochondria in the heart tissue that gets damaged which results in heart disease, thereby unable to produce sufficient cellular and electrical energy to sustain the heart. The other root factor of heart disease is a weak parasympathetic tone. Most people today leading fast-paced, stressful lifestyles, eating processed foods, spending little time grounded on earth, exposed to sunlight, connecting deeply with people, exercising, and calming the mind have weak parasympathetic nervous systems. Diseases also weaken the parasympathetic nervous system, which governs our organ function such as the heart. On the other spectrum, the sympathetic nervous system is constantly activated by our urban lifestyles. A major sympathetic event like shock, emotional trauma and more can lead to an unchecked imbalance that leads to cardiac arrest. Also, this imbalance generally shifts the cell metabolism from the mitochondria into the cytoplasm, where more lactic acid is being produced. It is no wonder that people find it so difficult to overcome health problems – and can merely keep it in check and consciously endeavour not to “trigger” it too much. Well, thankfully, we have Diamond Heart – which is a top grade extract of Strophanthus seeds – yielding the active component G-Strophanthin, also known as Ouabain. Unlike intravenous administration of Ouabain which increases cardiac inotropy that we don’t want, oral consumption of G-Strophanthin at lower concentrations did not cause this problem. However, a frequently used capsule version of Ouabain may irritate the stomach and cause diarrhoea in many cases. The best, time-tested form has been in the form of tinctures where absorption occurs through the mucosa, while the remaining liquid enters the stomach not just in diluted form, but also further diluted with saliva. From the years 1947 to 1968, Dr. Kern had documented his patient records (over 15,000 patients!) in his Stuttgart clinic. Patients who were treated with oral g-strophanthin experienced no fatal heart infarcts and only 20 non-fatal heart infarcts. Moreover, these patients included a huge proportion already suffering from heart disease and infarction before participating in the study and consulting him. National statistics collected and reported by the government in that same time period would have predicted at least 120 fatal heart attacks and over 400 non-fatal ones in a group of patients this size. Today, there is an estimated 5,000 Medical Doctors using and prescribing oral g-strophanthin in Germany. The publication Eine Dokumentation ambulanz-kardiologischer Therapie Ergebnisse nach Anwendung oralen g-strophanthin reported the feedback and findings of 3,645 Medical Doctors regarding the use of Strophanthus or Ouabain in their practices from the time period of 1976 to 1983. Out of these 3,645 doctors, 3,552 gave completely positive reports with not a single doctor giving a negative response! Apart from such results reported from a clinical setting, perhaps a great evidential support for Strophanthus would be the cases that occurred in a German coal mine. From 1972 to 1974, miners suffered episodes of acute chest pain (angina) a total of 229 times. At that point in time, medical help was at least 2 hours away, and 11 miners died during that period. Subsequently from 1975 to 1980, all miners who experienced acute chest pain (a total of 280 episodes) were instantly given oral g-strophanthin. And in that period, which was twice the length as the previous, no miners died after the onset of symptoms. No toxic side effects were observed. Many variables were studied such as age, better access to treatment, different working conditions and more to ensure a fair conclusion. Also, a rigorous, double-blind, randomized, controlled study of oral g-strophanthin in the treatment of angina showed impressive results at statistically different levels. Within the span of just 14 days, 81% of patients in the treated group experienced a reduction in attacks, while in the control group, 72% receiving placebos reported an increase in attacks. An omnipresent trait of oral g-strophanthin administration in all these clinical studies and observations is the complete negation of side effects. This gives us complete confidence it is the heart’s best ally. This is a far cry from the misdiagnosis and mis-prescription of harmful drugs like statins for lowering cholesterol, lowering all the health-promoting steroidal hormones, intracellular and intra-mitochondrial CoQ10 and thus ATP and cellular energy production – resulting in liver issues, heart failure itself, muscular disorders, pain and numbness, organ failure and so much more! And yet the prescription of statin drugs was in the first place for a completely innocuous condition of high cholesterol – when one should look at precise ratios, particle size, and amount of oxidised cholesterol – through methods such as subfractionation lipid panels.